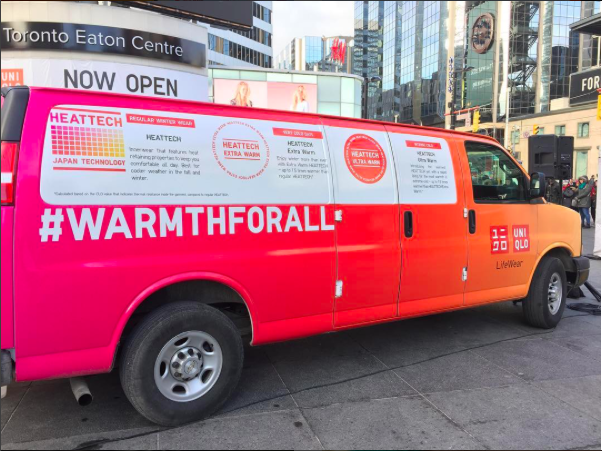 Hey Torontonians, keep your eyes peeled for UNIQLO Canada's #WarmthForAll van driving around Toronto today and tomorrow (January 27th & 28th) giving away HEATTECH apparel. 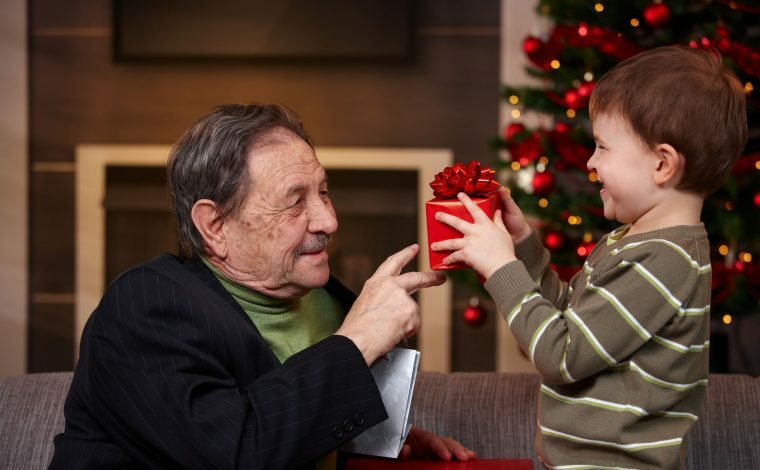 HEATTECH is a specially formulated fabric to retain heat despite the thin and extremely wearable material. 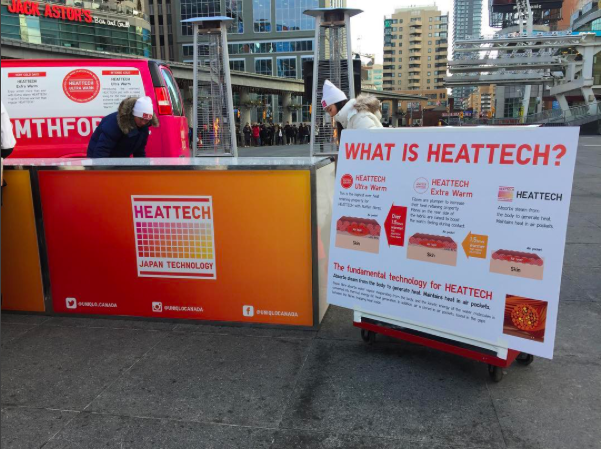 In addition to giving out HEATTECH to lucky Torontonians over the next two days, UNIQLO Canada is also donating extra warm kids apparel to various local children's charities like Toronto Kiwanis Boys & Girls Clubs, Big Brothers Big Sisters of Toronto, YWCA Toronto and Toronto Youth Development. 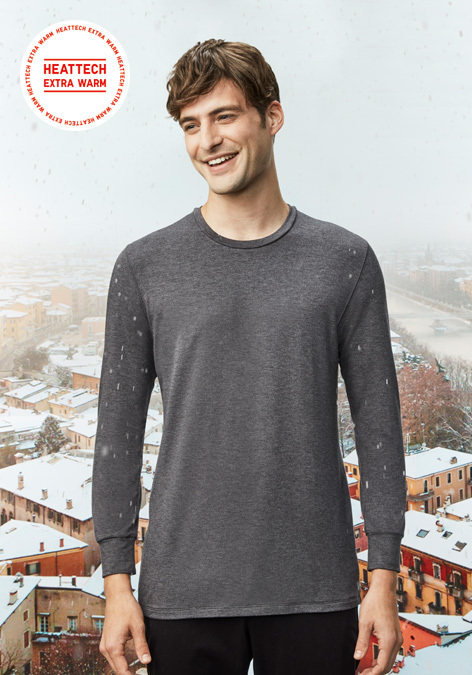 UNIQLO's HEATTECH apparel is "made from a unique fabric featuring amazing density to fit your body like a second skin; creating a soft and easy to wear layer, the perfect base for any outfit this winter"